After the Cleveland Indians swept the Red Sox 4-3 Monday evening, earning a spot in the American League Championship Series, TBS seemed to make fun of our fine city. A photo that read 'Welcome to Cleveland' appeared on the screen, showing what was supposed to be the Cuyahoga River on fire in the background. (Except it wasn't even the Cuyahoga River. The photo was of the Moscow River which caught fire in 2015, injuring two adults and one child). 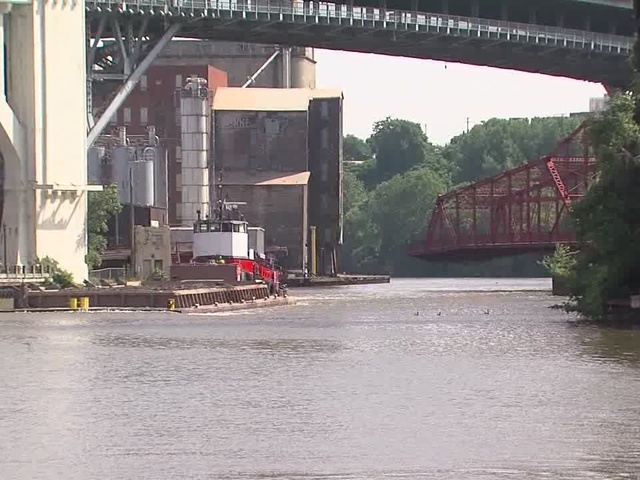 Everyone knows the Cuyahoga River story. In June of 1969, an oil slick on the polluted river caught fire. All these years later, it is kind of funny. Yes, sometimes we need to make fun of our city's hardships. It's an, "if you don't laugh, you'll cry," kind of thing. But outsiders? No. Outsiders are not allowed. Add that to the fact that Clevelanders felt the TBS announcers were biased toward the Red Sox during Monday's game. "90 percent of this postgame show is about the Red Sox," one local sports writer tweeted. "Can somebody call TBS and tell them the indians won, please?" 90 percent of this postgame show is about the Red Sox. Can somebody call TBS and tell them the indians won, please? I know Big Papi retiring is a big deal, but you'd never know the Indians just swept the Red Sox in the playoffs watching TBS rn. TBS announcers biased towards BOS. Well, yes, our river did catch on fire. But you know what? Cleveland's making a comeback. Remember in May when Cleveland's own Stipe Miocic knocked out Fabricio Werdum at Arena da Baixada soccer stadium in Curitiba, Brazil? How about when the Cleveland Monsters claimed their first Calder Cup win? And when the Cavaliers came back from a 3-1 deficit to beat the Warriors in Game 7? Sure our river caught on fire a few decades ago. But we're a winning city now. Let's talk about that. Cleveland is a great city and we regret the use of the image. We look forward to putting the focus back on an exciting ALCS.